The Comfort Maple tree is an individual sugar maple (Acer saccharum) located in Comfort Maple Conservation Area in the Town of Pelham, Ontario. The tree is estimated (not based upon a complete ring count) to be about 500 years old. If correct, it would make this one of the oldest sugar maple trees in Canada. The tree is named for the Comfort family, who acquired the land in 1816. 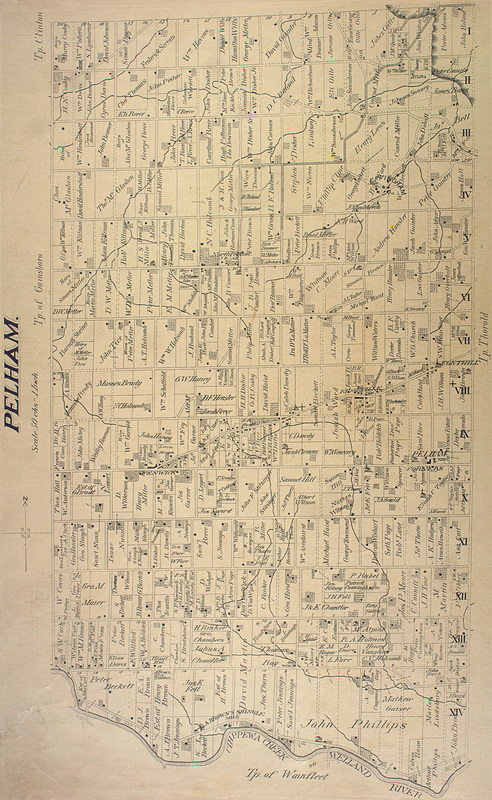 A township map from later in the 19th century shows the land owned by John B. Comfort, and a sign at the site tells visitors that the tree and the land around it were donated to the Niagara Peninsula Conservation Authority on April 30, 1961 by Miss Edna Eleanor Comfort. ^ a b c "Comfort Maple". Retrieved 2008-05-06. ^ "Ontario's Oldest Trees". Retrieved 2008-05-06. ^ a b "Niagara College Garden Clippings - Sheet 92" (PDF). Archived from the original (PDF) on 2008-05-09. Retrieved 2008-05-06. ^ a b c "An Ancient Wonder: The Comfort Maple". Retrieved 2008-05-06. ^ "Digital Collections Program (Note - 15MB)". Retrieved 2008-05-06. This page was last edited on 26 November 2018, at 09:57 (UTC).